It is usually not difficult for an officer to find reasonable suspicion to stop a vehicle. It can be almost anything that leads a officer to suspect a violation. Police stop vehicles for a variety of issues. Sometimes they suspect drunk or impaired driving. Other times, the initial stop is for something totally unrelated (expired tag, brake light out). But once an officer smells alcohol or observes some indication of impairment, the otherwise routine stop becomes a DWI investigation. At this point, the purpose is to develop proper probable cause to arrest. While reasonable suspicion is relatively straightforward, probable cause is different and requires a more substantial showing. 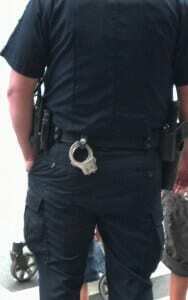 So how do police go about establishing their case for probable cause to arrest? All states have adopted and employ the DWI Investigation protocols established under the National Highway Transportation Safety Administration (NHTSA). They have similarly adopted the current presumptive blood alcohol concentration level of 0.08%. While such practice may have been born out of good intentions, there is also a substantial federal financial incentive as well. The basic DWI Investigation and Standardized Field Sobriety Testing course is 24 hours long and includes both a field practicum and written examination to complete. All police officers undergo this training, and DUI defense practitioners should also take this course. The knowledge and skills gained will prove invaluable for lawyers reviewing cases and cross-examining officers at trial. 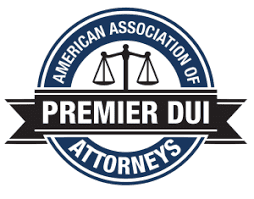 It is important to know what your adversaries will use against your client in DUI arrests. Continuing where we left off in our Reasonable Suspicion page, the second task of an arresting officer is observation of the vehicle stop after blue lights are activated. There are 10 “post stop” clues including a sudden loss of control or difficult maintaining control of vehicle. 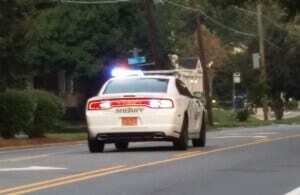 Many people “panic” when they see a police car behind them and tend to overcompensate their driving in an attempt to “look fine.” Once stopped, the officer will make notes of characteristic behaviors in the next part of their DWI investigation. This is the final stage of a proper DUI investigation and involves the administration of field sobriety testing. While there may be any number of “old school” roadside tests (saying the alphabet, counting, finger dexterity, estimating time), there are only three (3) Standardized Field Sobriety Tests (SFSTs) that are recognized by NHTSA (horizontal gaze nystagmus, walk and turn, and one leg stand). Any tests other than the SFSTs are subject to challenge, since they have not been tested for demonstrable reliability. It should also be noted that the results are invalidated if these SFSTs are not administered exactly as required. Otherwise, they are no longer “standardized” and cannot be considered reliable indicators of impairment. Of course, these tests are extremely difficult to perform under the best conditions, and the vast majority of people attempting them fail as they are not familiar with them. Police officers become proficient only after practicing the complex balancing maneuvers many times. If they do not consistently and regularly demonstrate the tests, they too can lose the ability to perform them. Even at trial when they are asked to demonstrate for the jury, officers can “sway” or “step off line.” The simple reality is that we are not physiologically designed to walk “heel to toe” without use of our arms to counter-balance. We are similarly not accustomed to standing on one leg for up to 30 seconds without extending our arms to maintain balance. Impairment can certainly enhance these issues, but it is difficult to perform these “tests” even when fully sober. The final test in North Carolina involves the use of a “portable breath tester (PBT).” If protocol is followed, the officer will ask a suspected impaired driver to perform two (2) separate tests at least five (5) minutes apart. Many of our clients question why such test is necessary, especially when they have answered “yes” to “have you had anything to drink tonight?” While many officers will share the “numerical reading” of the PBT, such figure is NOT admissible at trial. Thankfully, the legislature has realized how utterly unreliable these devices are. Only a “positive” or “negative” reading is relevant, not the actual number on the PBT. Again, given our dependence on prescription and other drugs, not all impaired driving cases are based on alcohol. If the officer has followed their training, they are now at a point where they can make the all important decision of whether there is sufficient probable cause to arrest. The NHTSA standard protocol mandates a thorough and complete investigation following the outline above. If properly completed, there is evidence to arrest and proceed to more formal breath testing back at the police station. Unfortunately, there are too many cases where the officer merely relies on their years of experience and intuition that a person is unsafe to drive. Even if their “gut feeling” is later shown to be correct, the case should still fail as there was improper probable cause to arrest. These are the legal arguments that can make a real difference in the outcome of your case. It also protects us all as the bar of justice is set by how courts and judges adjudicate the weakest case. 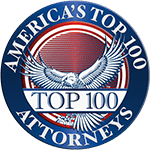 Charlotte DUI Lawyers | Robert J. Reeves P.C. The law office of Robert J. Reeves P.C. 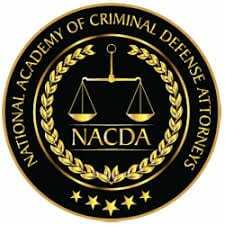 is located here in Charlotte and focus our criminal practice on DWI cases. Our DUI attorneys concentrate on impaired driving cases because we enjoy helping persons who find themselves charged with a drinking related offense. The laws are complex, but we will navigate you and your family through the legal process. The work is demanding, but the rewards can also be great. We pledge to do our best on your behalf and investigate all aspects of your case. Once we have thoroughly reviewed all of the State’s case against you, we will sit down with you, answer your questions, and go over your options. Then, once you have full information, you will be in a position to make the best decision for your particular situation. We work for you. You make all of the choices in your case. Call our office today at 704.334.7897 and let’s see what we may be able to do to help. For after hours or weekends, you can reach Mr. Reeves directly on his mobile phone 704.351.7979 or email robert@rjrlaw.com.